The 8 Best Wine Bars in Alabama! Do you consider yourself a wine connoisseur? Or maybe you’re looking to refine your wine palate? 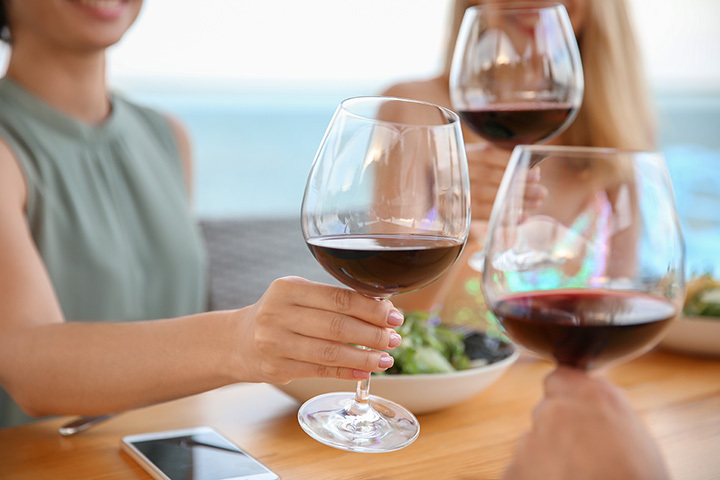 Discover your new favorite merlot or pinot grigio with friends or a loved one at any of these great wine bars in Alabama. With an ideal atmosphere and an excellent selection, these are the best wine bars in the state. For all the fancy wine drinkers out there, the Wine Loft in Birmingham is a must-visit. An upscale yet warm atmosphere, the loft is the quintessential wine bar experience you’ve always wanted. Make sure you come dressed to impress! For lovers of wine, Pour Baby truly is heaven on earth. The fun atmosphere and endless wine choices are what keep patrons coming back again and again. Not only do they have excellent red, white and bubbly selections, their food menu is simply excellent. Vino is a modern wine bar experience with an impressive rotating list of imported wines. The quaint atmosphere is perfect for a romantic date or night out with a long-lost friend. Pair a wine from their superb selection with any of their delicious plates. Their dining experience is one you won’t forget. Although relatively new to the Alabama wine scene, Church Street Wine Shop is a standout. Showcasing wine from around the globe, Church Street Wine will have something to please your taste, whether you love Italian reds or New Zealand whites. Stop by for a night out with friends, or become a regular by joining their prestigious wine club. Hidden away on Mobile Street, the Carriage Wine & Market is an excellent spot to peruse and try wine. From reds to whites to roses and sparkling wines, Carriage will have something to excite your inner wine lover. Don’t forget to try one of their charcuterie plates! You won’t be disappointed. Open since 2011, Cigar & Fine Spirits is the spot where Auburn wine lovers go to sip. The casual atmosphere is perfect for a low-key night of trying new and interesting wines. The bar also has a fine selection of cigars to add some extra class to your night. Nestled in the heart of Mobile, the Firehouse Wine Bar is a gem of a wine bar that specializes in wines from the Southern Hemisphere. Imported from South Africa, South America, Australia, and New Zealand, their carefully selected list of wines is truly impressive. You’ll love the cozy, casual atmosphere.